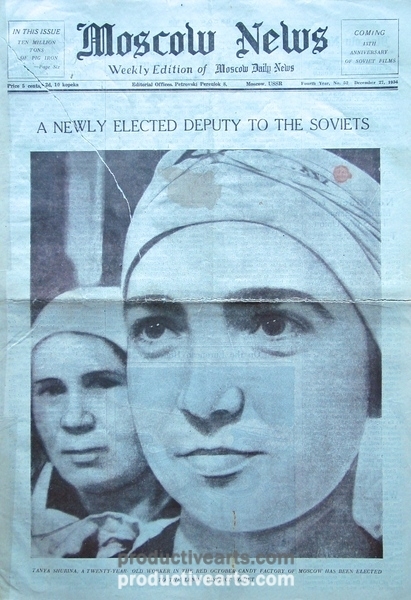 [Shagin, I.; Debabov, D.; Skurikin, A.; Ignatovich, O.; Grebnev, V.; Lavrov, A. and others.] 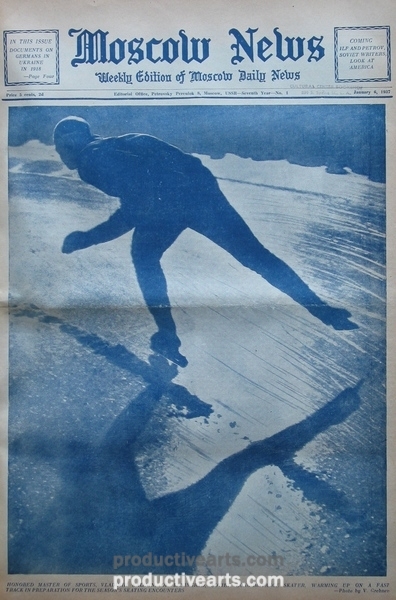 Moscow News 1930-48. 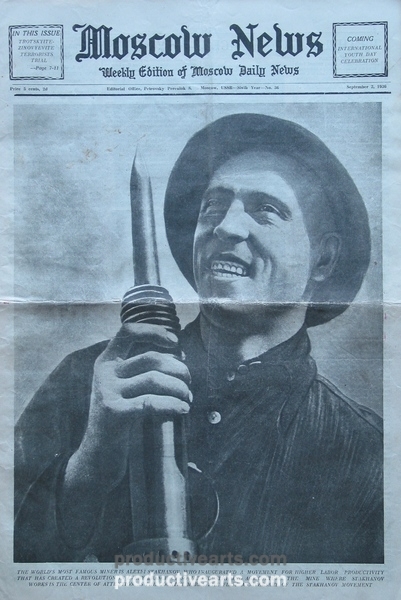 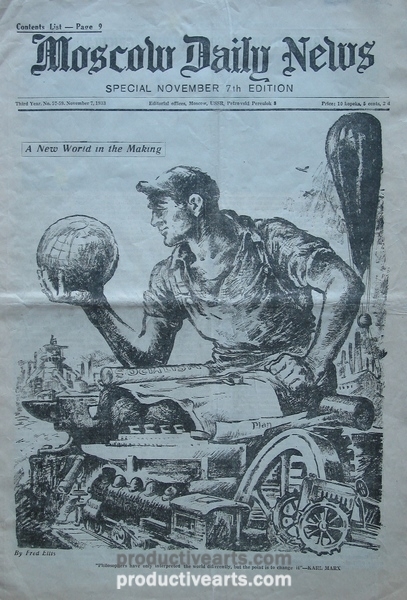 Moscow Daily News and its five-day aggregate, Moscow News, commenced publication in 1930 as an English language newspaper available in Moscow and large Russian cities to service foreign workers and for subscription overseas. 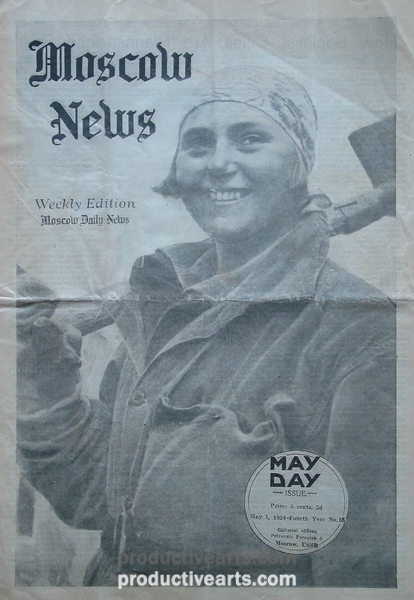 The newspaper was conceived by the American journalist and socialist activist, Anne Louise Strong, who served as an an associate editor. 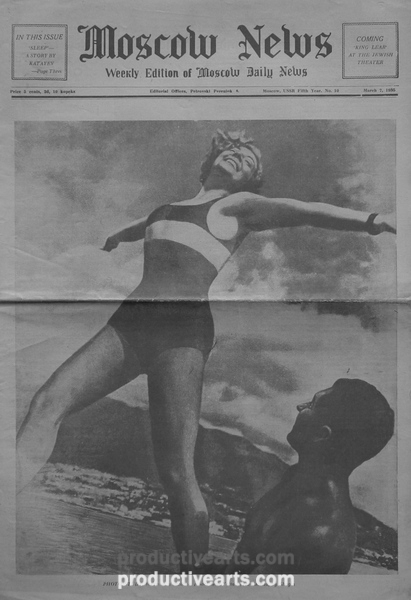 The newspaper ran up to the war years and renewed activities from 1945-48 before resuming in 1956. 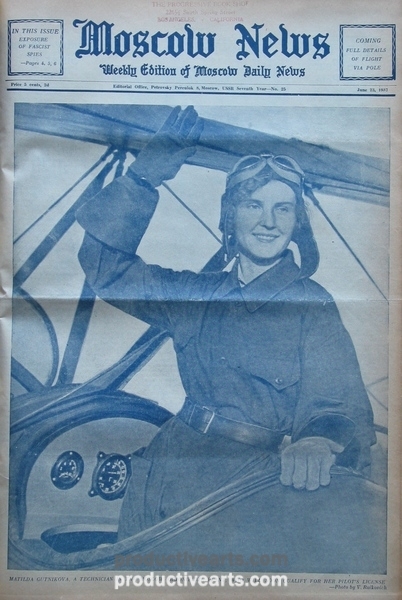 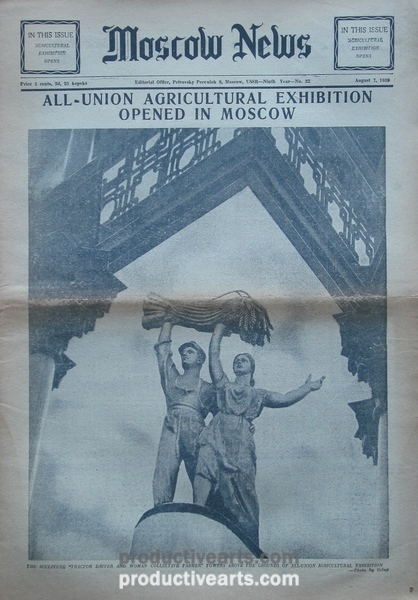 Moscow News was published in conjunction with Moskovskie Novosti with fully illustrated, photo oriented articles on events in the USSR and abroad. 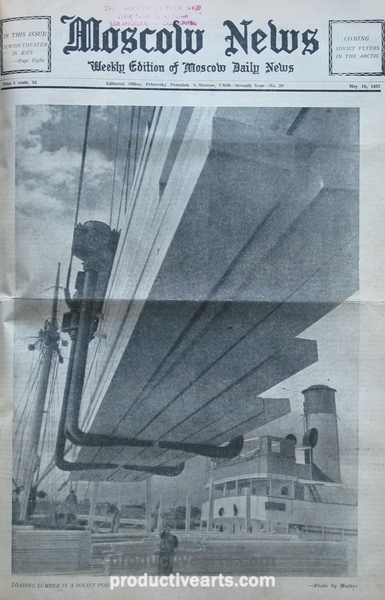 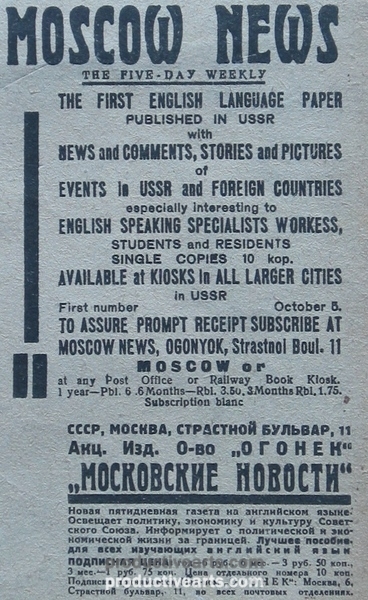 Moscow News was advertised prominently along with USSR in Construction, International Literature, Soviet Travel, Sovietland and other export publications. 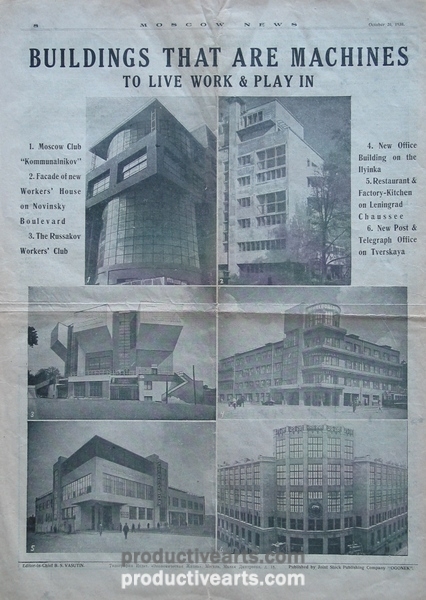 This group contains dates from substantially all of the 1930-48 period of publication. 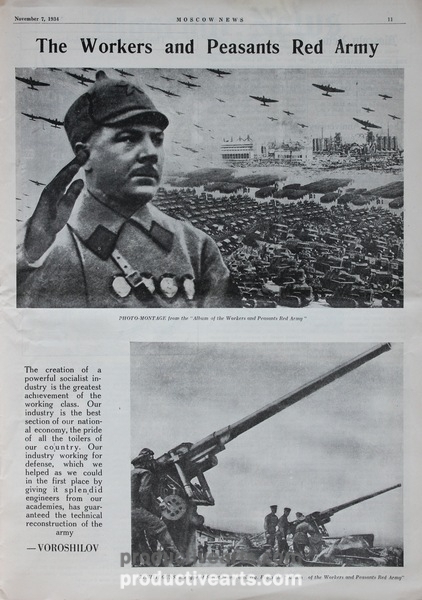 Moscow News and Moscow Daily News are generally 17″ x 11 1/2″ and 24 1/2″ x 19″, respectively. 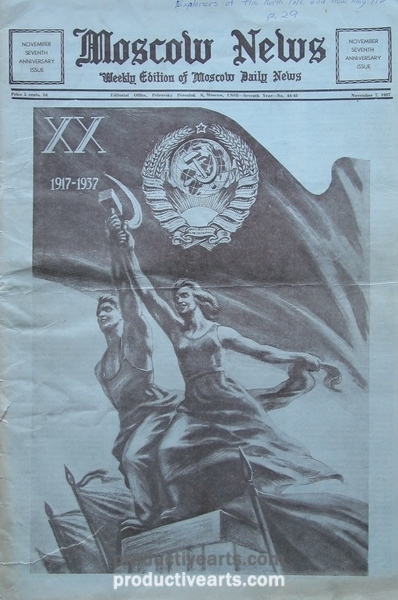 Included in this group is the parallel Russian export French language newspaper, Le Journal de Moscou, from its first issue in April 25, 1934 through April 1939.